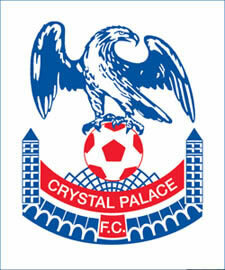 Newcastle United v Crystal Palace | NUFC Blog. Archive for tag: Newcastle United v Crystal Palace. A return to winning ways tonight? 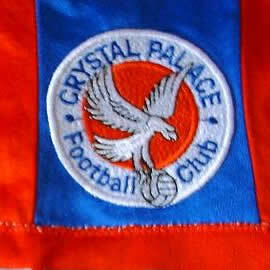 Tonight sees a cash strapped Crystal Palace making the long journey to St James’s Park. With all kinds of gossip surrounding the London club regarding Administration. Another source of gossip is their very talented young winger, Victor Moses, who has been the subject of much transfer speculation as the club seek to balance their books. The word going around is that he will almost certainly NOT be playing in tonight’s match, by order of the Administrator, probably for fear of injury. As for ‘wor lads, of course much of the gossip will surround our two new arrivals, central defender, ‘Big’ Mike (not that one) Williamson and fleet footed flanker, Wayne Routledge. Will they take their bows before the evening is over? Of course, the other big question is, will Newcastle make a return to winning ways after the weekend ref fiasco against West Brom? Skint Eagles take on wounded Magpies at St James’s Park. Hard times at the Palace. With the announcement that Crystal Palace have finally succumbed to their financial difficulties, being reportedly £30 million in debt and having gone into administration, you would guess that their players and staff may not be in the best frame of mind for a visit to St James Park tonight to take on Newcastle United. You’ve got to feel sorry for Palace, as yet another long establised football club faces very difficult and uncertain times. Only 2 points off the play offs earlier today, they now face a 10 point deduction and suddenly the season could turn into a relegation battle. I’m sure Neil Warnock must despair as Palace have lost just twice in their previous 15 games in all competitions and are currently on a very good run of form. Nolan and Carroll issue rallying call. 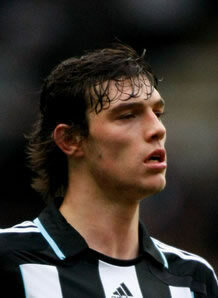 Carroll: "Raring to go for Palace". Good words today coming from two of our players, Andy Carrol and Kevin Nolan, with both of them saying the best thing to get over a defeat is another game, and that comes in the shape of Newcastle United’s home encounter with Crystal Palace on Wednesday evening. It seems that Crystal Palace are still in denial about being relegated in 2005, as the Premier League theme started blaring out of the PA before the game commenced, the old 2005 one too, which added a stuck in limbo feel to the proceedings.